Discover how to achieve the stunning imagery and dazzling effects that wow audiences in animated and live action motion pictures. "The RenderMan Shading Language Guide" shows you how to master this powerful rendering program, used by filmmakers in conjunction with 2D and 3D painting, modeling, and animation software to transport audiences to faraway lands and awe them with fantastic creatures. 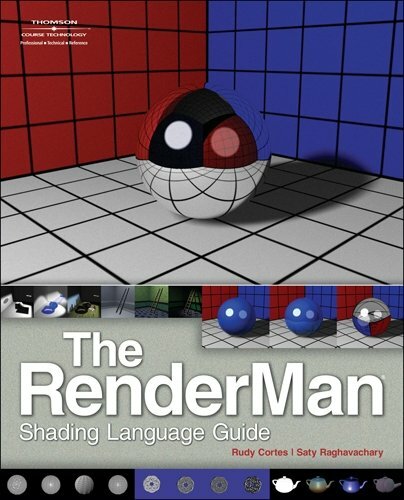 A comprehensive guide to the RenderMan Shading Language (RSL), the book teaches experienced 3D animators and artists fundamentals through advanced RSL and image synthesis concepts. Beginning with an introduction to RSL, you'll learn about the shader writing process and how to set up a proper shader developing environment. After that you'll try your hand at some simple shading methods such as light and volume shaders. Once you have the basics down, you'll move on to more advanced shading skills including raytracing, global illumination, pattern anti-aliasing, and DSO shadeops. The book presents over 80 complete shaders and teaches good coding style and techniques. "The RenderMan Shading Language Guide" presents the skills you need to become proficient with RSL so that you can use them to create amazing special effects for use in movies, video games, and more. If you have any questions about this product by Cortes, Rudy/ Raghavachary, Saty, contact us by completing and submitting the form below. If you are looking for a specif part number, please include it with your message.